Composed by Bob Good. Ragtime, Repertoire, Latin, Recital, Comedy. Score, Set of Parts. 42 pages. Published by Surrey Dance Music (S0.447475). 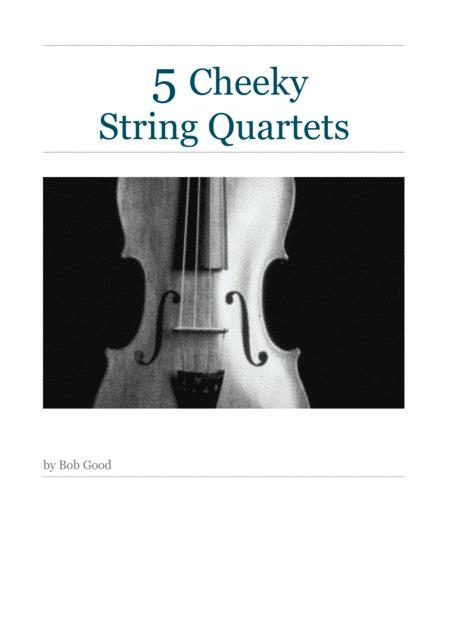 A collection of five of our favourite string quartets with a sense of humour and fun. Not in the same vein as a Mozart Divertimento, but with ragtime and tango included instead!